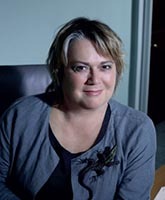 Lucy Scott-Moncrieff is a mental health and human rights lawyer. Some 28 years ago she founded what is now the solicitors’ firm Scott-Moncrieff & Associates. Today the firm has more than 70 consultants and undertakes a substantial amount of legal aid work in a variety of areas including that of mental health. In addition to her legal practice commitments, Lucy has undertaken a number of prominent roles within the profession. Lucy's roles have included President of the Law Society, Mental Health Act Commissioner and a founder member of the QC Appointments Panel. At present, Lucy is Chair of the Law Society Equality and Diversity and Inclusion Committee, Co-Chair of the Legal Aid and Access to Justice Committee of the International Bar Association, a Mental Health Tribunal judge and a Commissioner with the Judicial Appointments Commission. Many of her cases have been reported over the years. One of Lucy’s clients was the first person to obtain a declaration of incompatibility under the Human Rights Act. The resulting remedial order altered the discharge criteria affecting all those detained under the Mental Health Act. In 2011 she won the Association of Women Solicitors award for best manager of a legal aid practice. In 2013 she was awarded the CBE for services to legal aid. The numerous awards Lucy has received are testimony to her contributions to the advancement of social justice. She has fought long and hard promoting human rights and mental health causes and she has spent her working life fighting for justice for vulnerable people. Lucy describes herself as a “north London legal aid lawyer” confronting the government. Nominated by Lisa Jackson, Year 2 LLB and chosen for the Inspired by Law gallery of lawyers and legal campaigners in 2015. Photo kindly provided by Lucy Scott-Moncrieff.